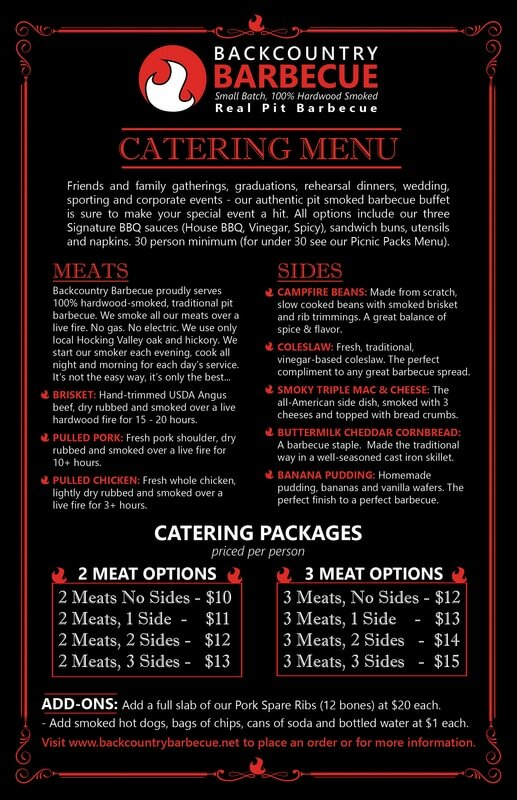 Friends and family gatherings, graduations, rehearsal dinners, wedding, sporting and corporate events - our authentic pit smoked barbecue buffet is sure to make your special event a hit. All options include our three Signature BBQ sauces (House BBQ, Vinegar, Spicy), sandwich buns, utensils and napkins. ​30 person minimum (for under 30 see our Picnic Packs Menu).